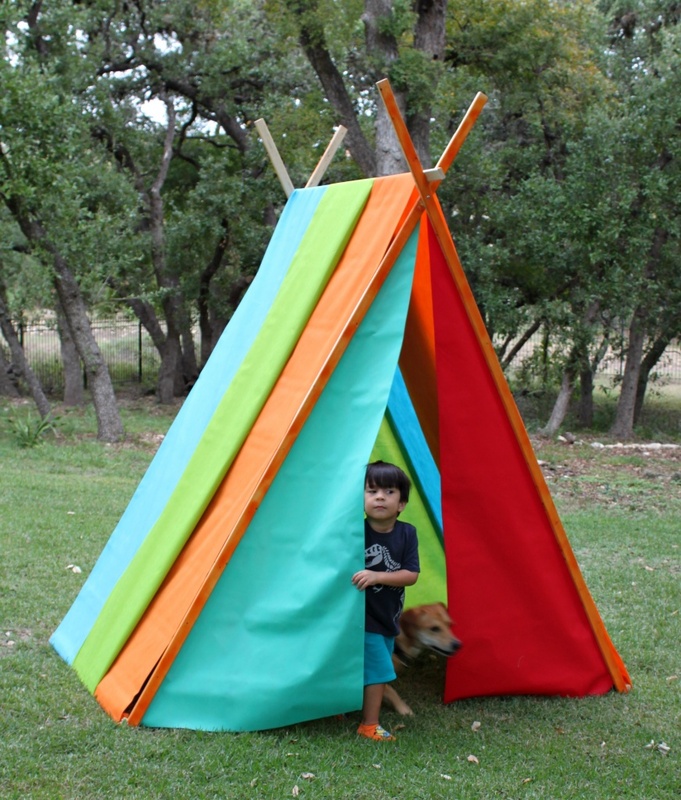 Make this tent DIY for your family to enjoy this summer. Summer days are meant for play and imagination! 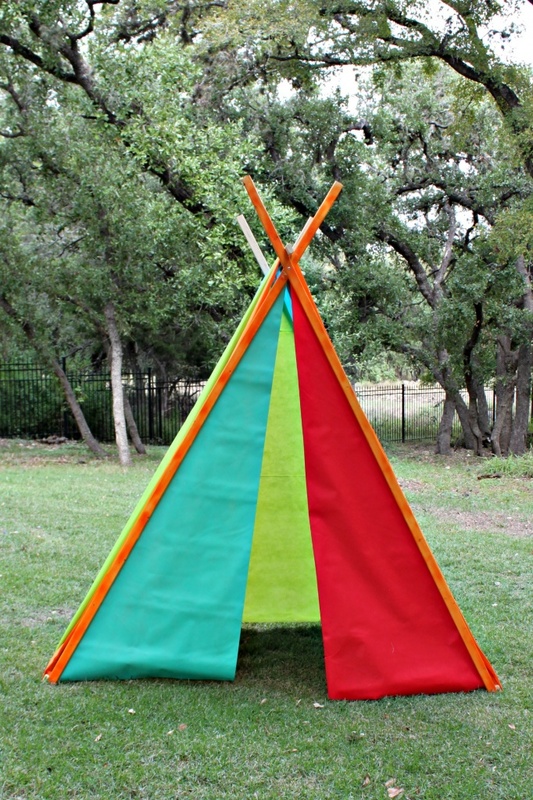 I created this fun tent for my kids to lounge in. We keep it in the shade on the back porch and they filled the bottom with sleeping bags and pillows. They love it! 1. Paint the wood boards. 2. Measure one foot from the end of two 8′ boards. Screw the two boards together at this point. Repeat with the other two 8′ boards. 3. 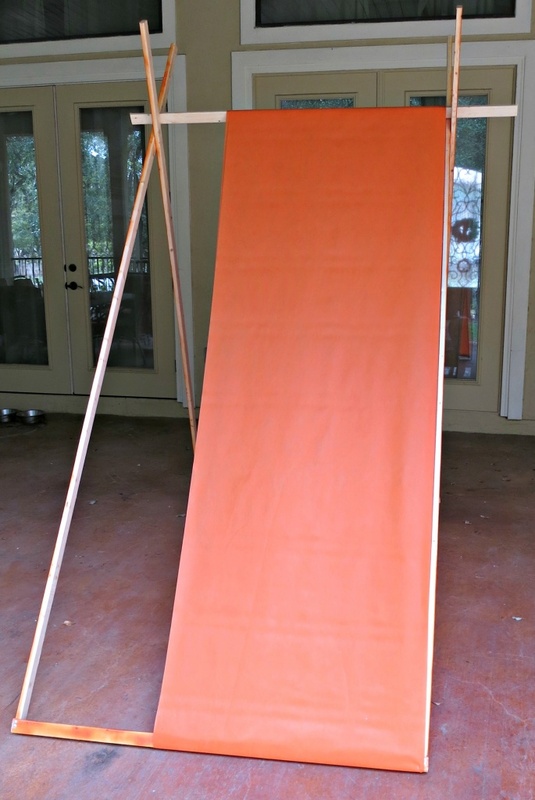 Join the two “x” boards at the base with the 4.5′ boards. Nail the bottom boards into place. 4. Place the third short board on the top of the two “x”boards. 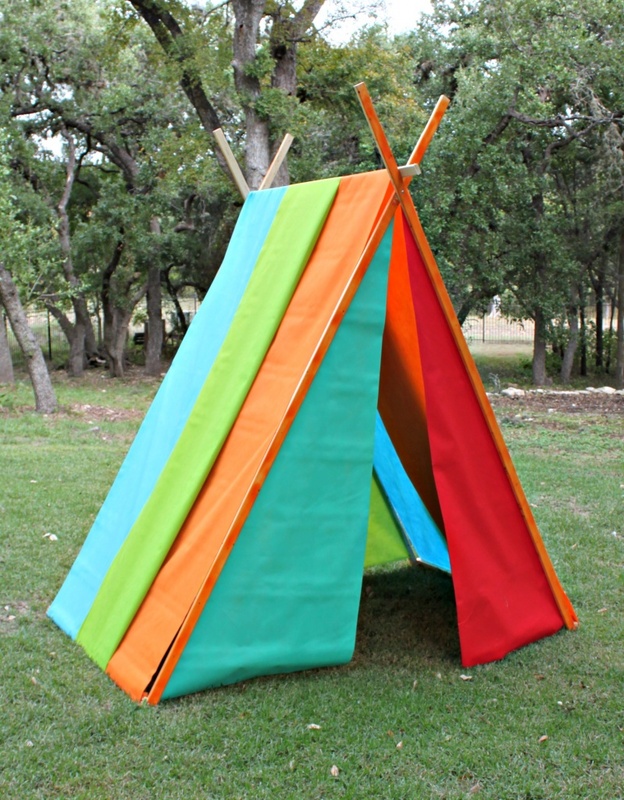 This piece is removable so you can collapse and move the tent as needed. 5. Unroll a bolt of Oly*Fun and keep it folded in half. 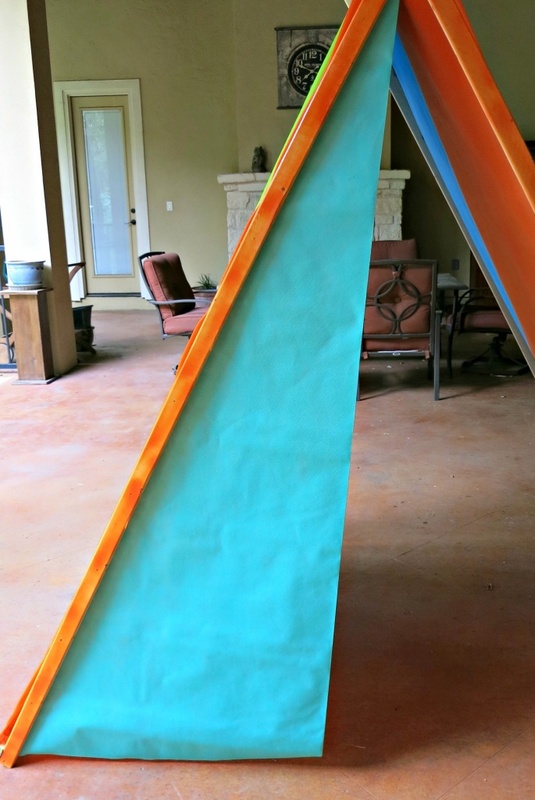 Cut a piece that is 14.5′ long. Drape the piece over the top of the tent with the folded edge facing the front of the tent. Staple the ends of the Oly*Fun onto the bottom boards of the tent. 6. 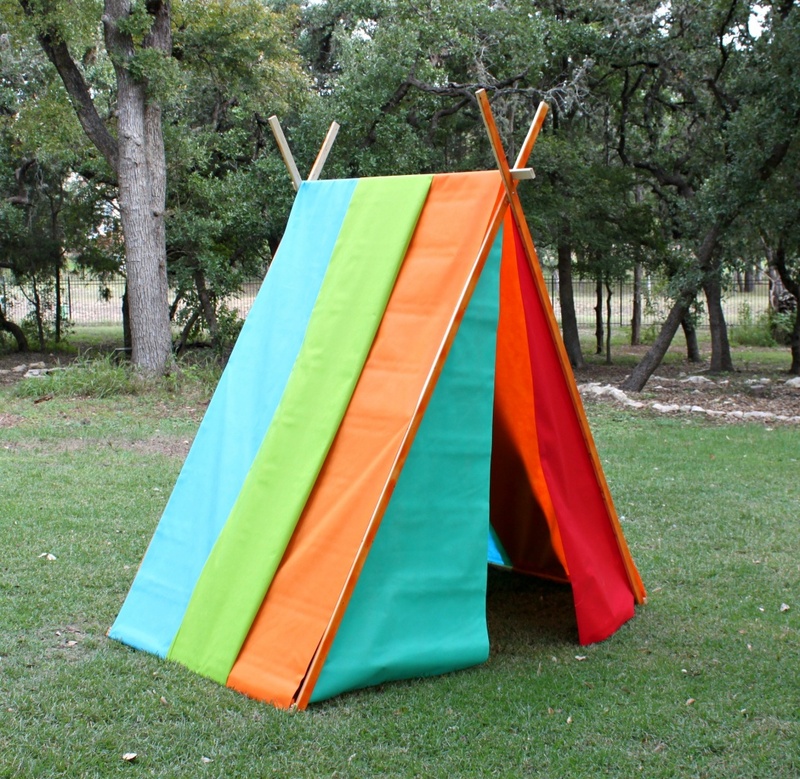 Repeat step 5 with another color of Oly*Fun, but place the folded edge at the back of the tent. 7. 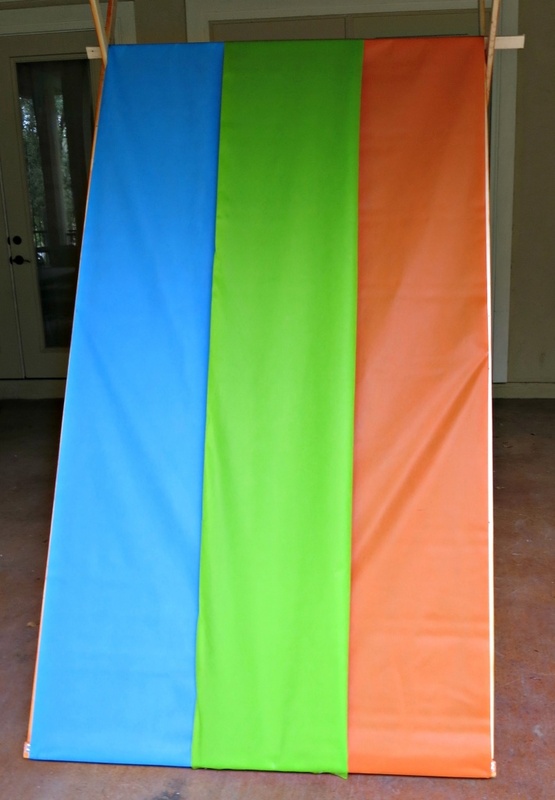 Cut a third color of Oly*Fun 14.5′ long, but also cut it at the folded line. Fold the edges in and place it over the first two colors, to create a center stripe. Staple it in place. 8. Cut three 7′ pieces of Oly*Fun. Staple two at the front of the tent to create the door, and one in the back to close the tent. Once the fabric has been stapled in place, trim off the excess fabric. The dog loves the tent, too! 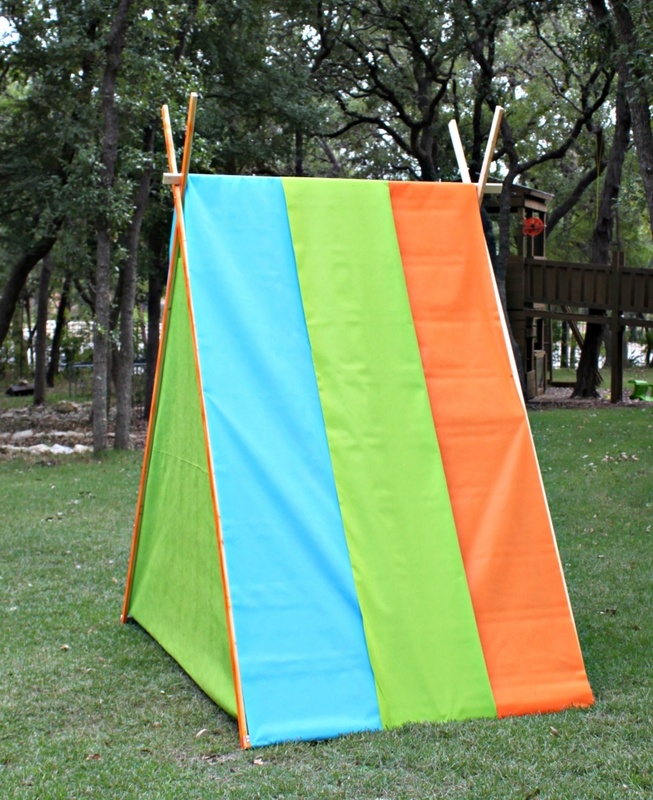 Have fun crafting and DIYing your own tent for your family! I originally published this project on the Fairfield World site, where I am on their design team.